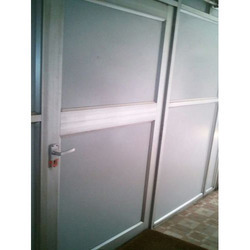 We are involved in offering a large assortment of Aluminium Office Partition. In addition, we offer this product in the market at a very affordable price. 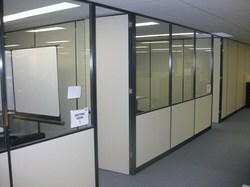 We are offering Modular Partitions to our clients. We are offering Aluminium Modular Wall Partition to our clients. V. K. Sharma & Co.
Keeping track of contemporary market development, we are devotedly occupied in providing an extensive series of Aluminium Partition Service. Backed by profound experience of our experts, we are an unparalleled name engaged in high quality assortment of Aluminium Office Partition. As an illustrious corporation of the industry, we are eagerly immersed in presenting a broad gamut of Aluminium Office Partitions to our patrons. The Office Aluminium Partition provided by us is highly demanded for installation in residential, corporate and commercial areas. Our entity is involved in providing a comprehensive series of Aluminium Office Partition.